Marshal Granor – What makes me qualified? A unique combination of broad experience and depth of knowledge in all aspects of Real Estate Law. Marshal Granor is legal expert who can solve your problems or help you reach your goals. Continuing Education elective course – Condominiums and Home Owners Assns., 2003 through 2012. Continuing Education elective course – Environmental Issues in Real Estate Sales, 2008 through 2012. Pennsylvania Bar Institute Course “The New Uniform Planned Community Act,” Spring, 1997 presentations in Harrisburg, Pittsburgh, and Philadelphia. Pennsylvania Bar Institute Course “Community Association Law Symposium,” September/October, 2005 presentations in Philadelphia, Mechanicsburg and Poconos. Pennsylvania Bar Institute Course “Dealing with Developers’ Liabilities in Condominium & Home Owner Associations,” September/October, 2006 presentations in Philadelphia, Mechanicsburg and Allentown. December, 2006 presentation at the Real Estate Institute in Philadelphia. Pennsylvania Bar Institute Course “Asbestos and Radon and Mold, Oh My. Disclosing and dealing with environmental issues in real estate sales,” December, 2007 presentation at the Real Estate Institute in Philadelphia. Pennsylvania Bar Institute Course “Community Association Law Adds Complexity to Neighbor Law,” September, 2008 presentation in Philadelphia September 9, 2008. Pennsylvania Bar Institute Course “Community Associations in a Down Market,” a portion of PBI course: “Condominium and Homeowner Associations: A New Look at Developing Issues” October/November, 2008 presentations at Skytop, Philadelphia and Mechanicsburg. Pennsylvania Bar Institute Course “Boilerplate and Addenda – the Hidden Gems of the PAR Residential Agreement of Sale,” December, 2008 presentation at the Real Estate Institute in Philadelphia. Pennsylvania Bar Institute Course “Dealing with Failed or Abandoned Development Projects in a Down Economy,” a portion of PBI course: “Dealing with Condominium and Homeowner Associations in a Down Economy” October through December, 2009 presentations at Malvern, Mechanicsburg and Philadelphia. Pennsylvania Bar Institute Course “Active Adult Housing: Special Issues in the 55+ Community Association,” December, 2009 at the Real Estate Institute in Philadelphia. Pennsylvania Bar Institute Course “Forming the Association and Preparing the Governing Documents,” a portion of PBI course: “Condos and HOAs from A to Z: Understanding the Basics ” November and December, 2010 presentations at Mechanicsburg and Philadelphia. Pennsylvania Bar Institute Course “Asbestos and Radon and Mold, Oh My. Disclosing and dealing with environmental issues in real estate sales,” December, 2010, an update of the 2007 course, presentation at the Real Estate Institute in Philadelphia. Pennsylvania Bar Institute Course “Doing Good Deeds…and Titles,” March – April, 2011 presentations at Pittsburgh, Mechanicsburg and Philadelphia. [Organizer and Moderator]. Pennsylvania Bar Institute Course “Doing Good Deeds…and Titles,” December, 2011, an overview of the 2011 course, presentation at the Real Estate Institute in Philadelphia. Pennsylvania Bar Institute Course “Drafting and Modifying Residential Agreements of Sale,” March, 2012, presentations at Mechanicsburg and Philadelphia. Montgomery Bar Association Course “Insight Into Condominiums and Homeowners Associations,” May 17, 2012. Presentation at Norristown, being an overview of community association law, selection of the association type, financing, and municipal concerns. Pennsylvania Bar Institute Course “Condos and the Courts: the Latest Cases and Trends in Community Associations Today,” December, 2012, presentation at the Real Estate Institute in Philadelphia. Reprised August 6, 2013 at “A Day on Real Estate,” PBI Philadelphia. Real Property, Probate & Trust Law Section Annual Meeting “Recent Developments in Real Property,” A Presentation of the Latest Cases and Trends, May 9, 2013, presentation at the Annual Meeting Continuing Education Sessions, in Pittsburgh. Pennsylvania Bar Institute Course “Converting Condominiums to Planned Communities,” December, 2013, a “how to guide” for the legal practitioner, presentation at the Real Estate Institute in Philadelphia. Pennsylvania Bar Institute Course “Fixing the Failed Development Project in the Common Interest Community,” December, 2013. Pennsylvania Bar Institute Course “Drafting & Modifying the Residential Agreements of Sale,” January – February, 2014. Real Property, Probate & Trust Law Section Annual Meeting “What Estate Attorneys (and Others) should Know About the new PAR Agreement of Sale,” May 15, 2014, presentation at the Annual Meeting Continuing Education Sessions, in Hershey. Pennsylvania Bar Institute Course “Condos in the Courts,” December, 2014, a review of important and interesting community association cases from Pennsylvania and beyond, presentation at the Real Estate Institute in Philadelphia. 36th Annual Community Association Law Seminar “All Good things Come to an End (Sort of), January, 2015, presentation regarding termination of a condominium and replacement with a planned community regime, in San Francisco. Community Associations Institute 2015 Legal Symposium “Who’s In; Who’s Out – Rental Restrictions in Community Associations,” April 15, 2015, presentation at symposium, Blue Bell, PA.
Real Property, Probate & Trust Law Section Annual Meeting “Stormwater – The Philadelphia Story,” A Presentation regarding use of community associations for modern stormwater needs, May 6, 2015, presentation at the Annual Meeting Continuing Education Sessions, in Philadelphia. Principal Draftsman Pennsylvania Uniform Planned Community Act, Act 180, 1996. The Legal Intelligencer, “1998 Amendment to the Uniform Planned Community Act,” April 16, 1998. Pennsylvania Bar Institute “Yellow Books,” original materials composed and presented for all PBI seminars listed above, 1997 to present. People’s Law School, Fall 1999 and Fall 1996, lecturer in real estate law (Community College of Philadelphia). Granor Price Homes New Homebuyer Seminar, North Wales, PA, May 3, 1994. Joint HBA and CAI Seminar on “Tackling the Transition,” from the Developer to the Association, October, 2001. Delaware Valley Regional Planning Commission & Temple University’s Center for Sustainable Communities conference “Building From Strength: Strategies for Older Suburbs andBoroughs panelist, April 30, 2002. Congress for the New Urbanism panelist, “Developing Across the Transect in Philadelphia,” May 19, 2007. National Association of Real Estate Editors panelist, “Building Brown: High-style Industrial Living,” Philadelphia, May 31, 2007. RE3 Conference presenter, “Finding, Remediating and Developing a Contaminated Residential Real Estate Site,” Atlantic City, NJ, November 13, 2012. American Institute of Architects Design on the Delaware Conference, “Building a Better Burb, Smarter Design in New Community Planning,” Philadelphia, November 12, 2014. Marshal has many job titles and licenses, all surrounding his love of real estate transactions. With his father, Bernard, Marshal practices law at Granor & Granor, PC, concentrating in real estate transactions (sales and leasing) and community association law. He was a principal author of Pennsylvania’s Uniform Planned Community Act, and is a member of the Montgomery, Pennsylvania and American Bar Associations. 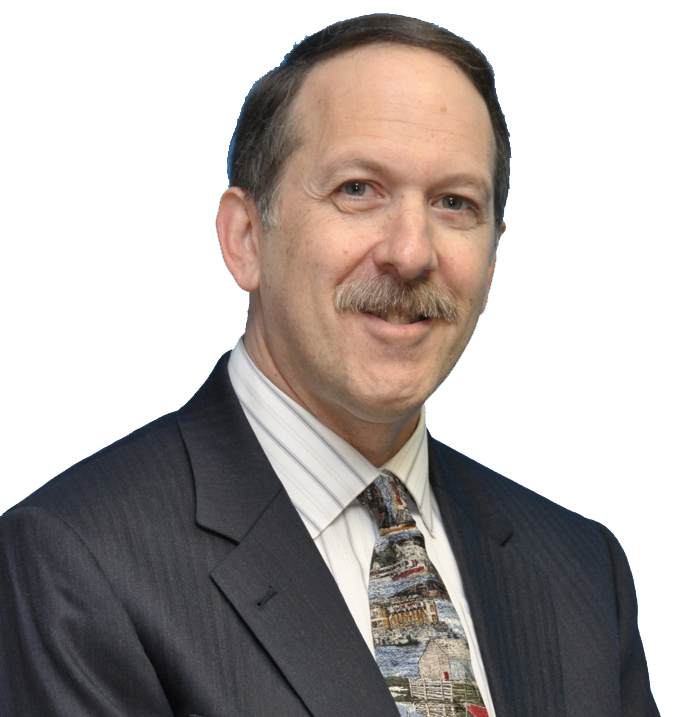 He serves as Real Property Vice-Chair of the Governing Council of the Pennsylvania Bar Association’s Section on Real Property, Probate and Trust Law, and served as Executive Editor of the RPPT Section Newsletter for six years. Marshal is a member of Community Associations Institute’s Pennsylvania Legal Action Committee, and is admitted to the prestigious College of Community Association Lawyers. Marshal holds Pennsylvania and New Jersey licenses as a real estate broker and title insurance agent, as well as being a licensed Pennsylvania real estate instructor. He frequently teaches continuing education courses for attorneys, real estate agents and title insurance agents, as well as for community association professionals and residents. Marshal is President of Granor & Company, Realtors, with offices in Horsham and Yardley, PA, and Mt. Laurel, NJ. He was a partner in Granor Price Homes, a residential and commercial builder-developer of approximately 4,500 homes, providing Marshal with a unique insight into new home sales and construction. In addition, Marshal was president for 6 years of Community Management Services Group, a condominium and homeowners association management company operating in Pennsylvania and New Jersey, gaining first-hand knowledge of community association issues and problem-solving. Marshal is an adjunct professor of law at Manor College, where he developed the course to instruct paralegal students in real estate law. Along with his wife, Tamar, Marshal was co-president of the Hebrew Free Loan Society of Greater Philadelphia for 14 years (2004 – 2018), providing interest-free loans to individuals with a temporary financial need. In his spare time, sings in a community choir and enjoys writing short stories.